Mario is a fictional character in the Mario video game franchise by Nintendo, created by Japanese video game designer Shigeru Miyamoto. Serving as Nintendo’s mascot and the eponymous protagonist of the series, Mario has appeared in over 200 video games since his creation. Depicted as a short, pudgy, Italian plumber who resides in the Mushroom Kingdom, he repeatedly rescues Princess Peach from the turtle-like villain Bowser and stops his numerous plans to destroy him and take over the kingdom. Mario also has other enemies and rivals, including Donkey Kong and Wario. 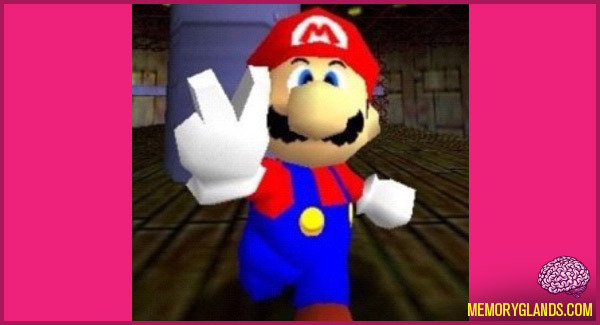 Mario is said by many to be the most famous character in video game history. Mario games, as a whole, have sold more than 210 million units, making the Mario franchise the best-selling video game franchise of all time. Outside of the Super Mario platform series, he has appeared in video games of other genres, including the Mario Kart racing series, sports games, such as the Mario Tennis and Mario Golf series, role-playing video games such as Paper Mario and Super Mario RPG, and educational games, such as Mario Is Missing! and Mario’s Time Machine. He has inspired television shows, film, comics and a line of licensed merchandise. Since 1995, he has been voiced by Charles Martinet.